Pumpkin madness has swept the Shaw Kitchen these past few weeks. Mr. CEO is a BIG fan of anything pumpkin. Remember those Pumpkin Pie Spiced Nuts I made for him? Suffice it to say, since this season is a little short in the grand scheme of the year, I tend to go a bit overboard when I see anything “pumpkin” flavored at the market. Prime example – Food Should Taste Good Pumpkin Spice Tortilla Chips. Well, let’s just say these were not the most treasured find this season. I couldn’t toss them, I spent to much on them! So off to the kitchen I went to create something magical that Mr. CEO would gobble up. 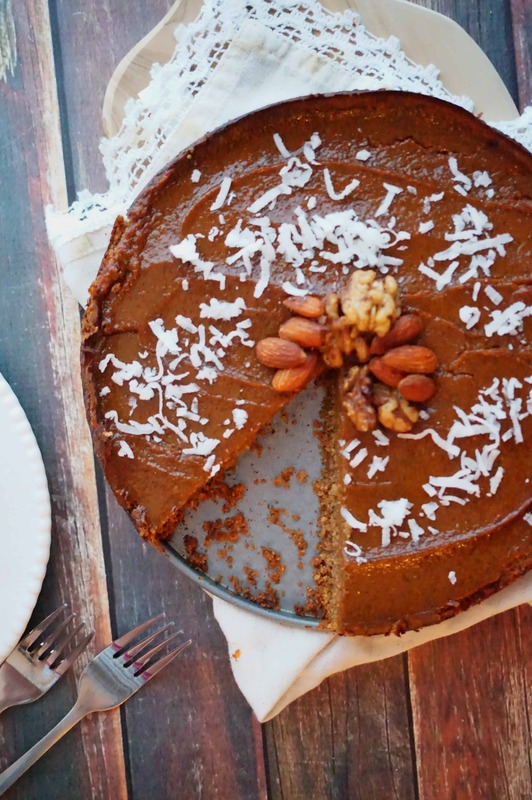 Enter– Vegan Pumpkin Pie with a Pumpkin Spice Tortilla Chip Crust! 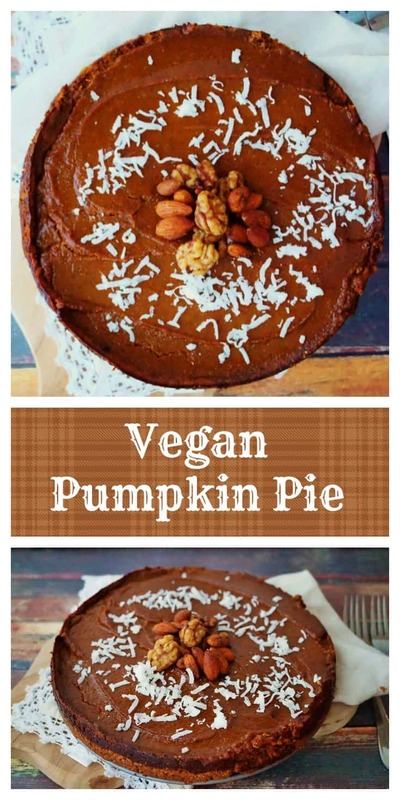 Yep, I turned those chips into a delicious, wholesome crust that was the perfect base for this Vegan Pumpkin Pie. 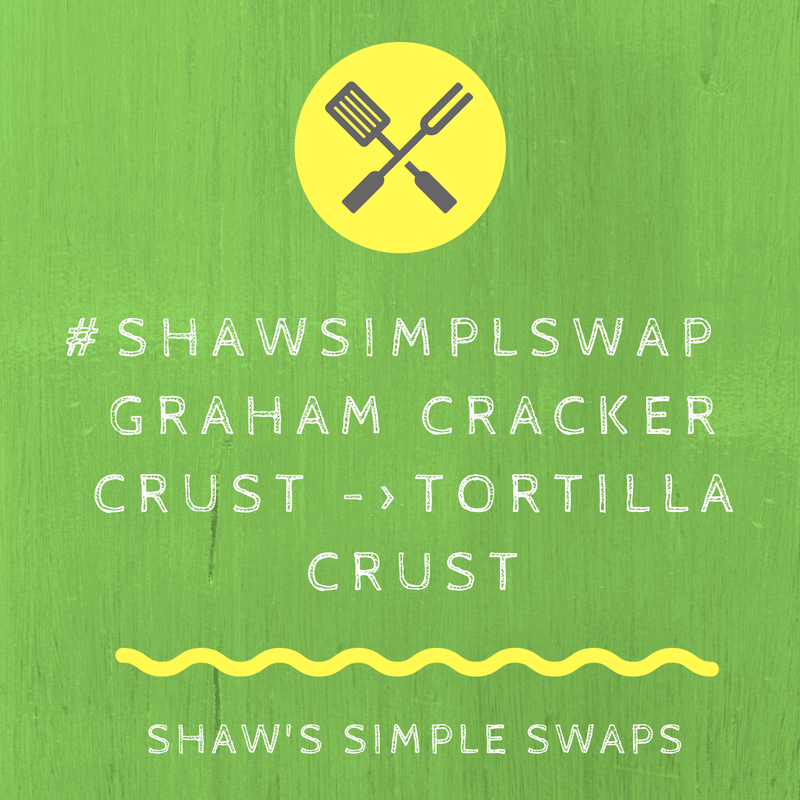 Well, to be honest, I had extra flaxseed meal in my fridge so wanted to venture out on the edge and see if I could #shawsimpleswap a classic dish into something all dietary types could enjoy. 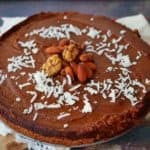 This tastes delicious topped with a dollop of coconut cream or a soy based ice cream if you’re vegan, or a delicious creamy vanilla bean full dairy ice cream for the traditionalists out there. Seriously, the possibilites are endless! Ever purchased pumpkin tortilla chips and weren't quite sure what to do? 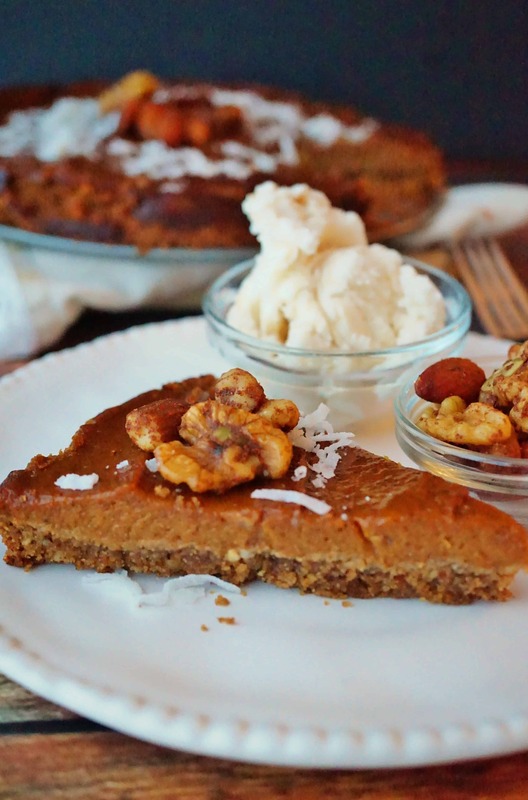 How about whipping up this Pumpkin Pie that's vegan and gluten free, too! In a food processor, combine tortilla chips and walnuts and process until a smooth, flour like consistency is achieved (2 to 3 minutes). Add in the sugar, maple syrup and vegan butter and pulse until a coarse, crumb consistency is achieved (about 30 seconds). Set aside. In a 9-inch pie pan sprayed with cooking spray. press tortilla mixture into the base to create a crust. Bake for 10 to 15 minutes until browned. Remove and let cool. In the same food processor (yes, saving you on dishes), combine the pumpkin puree, maple syrup and brown sugar. Process 1 minute until combined. Add in the spices, almond milk, margarine, flaxseed meal and vanilla extract. Process another 30 seconds to 1 minute, or until thoroughly combined. Pour mixture into cooled pre-baked tortilla crust and bake until set, about 55 to 65 minutes. Serve with cooled coconut whip topping and enjoy! Need more inspiration? Check out these delicious vegan recipes too! LOL Thanks EA!! Good job on resisting the urge, but, then again, if you do buy them, you can make this! It’s so funny, I literally think of you every time I cook b/c I want others like you to be able to make my recipes if you ever wanted too! Thanks for letting me link to you my friend! So neat you used chips as the base! 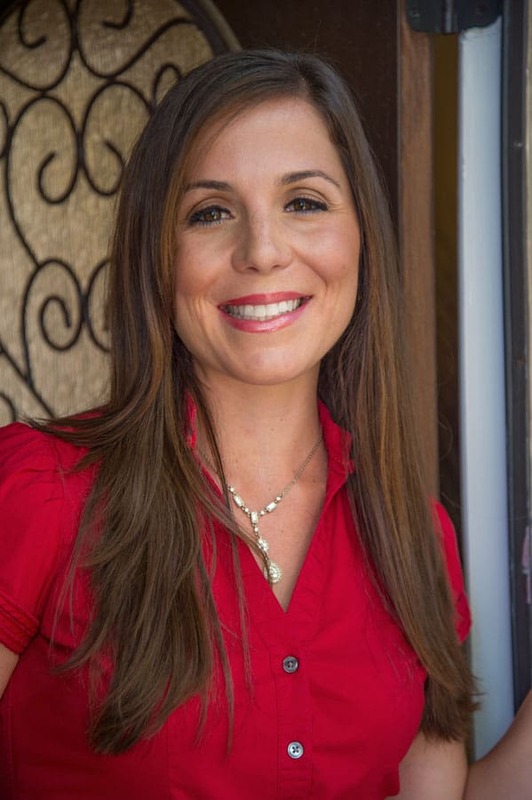 Thanks for including me in your round up! Oh never thought to use tortilla chips! I’m usually the same way with pumpkin but something is just off with me this year. I did pick up a few of our favorite Pumpkin Cranberry Way Better Tortilla Chips that I bet would even be perfect in this. I haven’t seen the Food Should Taste This Good ones but I have their regular tortilla chips in the cupboard, I’ll have to look for the pumpkin ones. I know!! I never did until I thought oh shoot, what can I do with these since just plain they weren’t my favorite! Baking always wins for me, let me know if you find them and try this! Of course, my pleasure!! Well I hope Pete’s family enjoys your vegan creations, it’s without question I know they will! Esp with your excellent Sous chef! Yum! What a unique crust idea. I think it’s awesome to offer vegan choices. 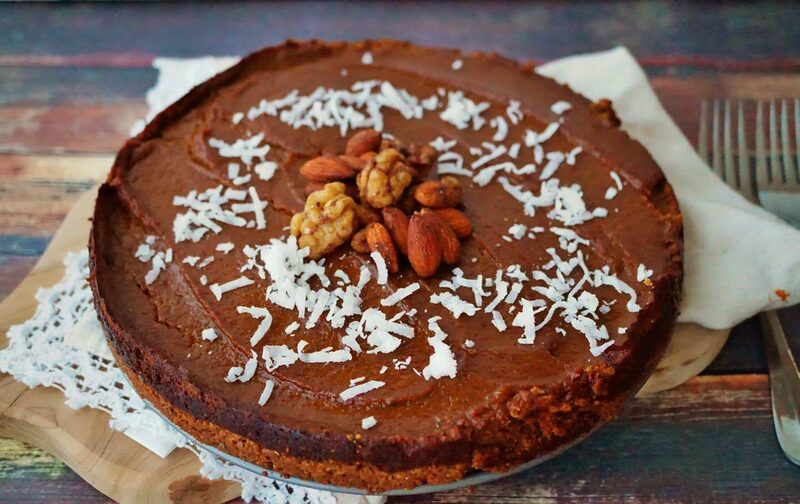 This pie looks so delicious! Would love a slice right now! Wow, I’ve never seen tortilla chips in a pie crust! That’s crazy unique and I’m imagining this wonderful sweet-salty flavor. It totally did! And the crunch with the walnuts was perfection! OHHH i am so wondering if I could pass this off on my family!! they have no idea how to make things dairy free for me, so I try to make things and then they look at it weird. But this they wouldn’t even know! Honestly, if you bought a can of whip cream for them, they’d never know!! Tortilla chips in a pie crust?! Now that is an idea I can get on board with!! What a clever idea! 🙂 Love it! Tortilla chips in the crust?! Brilliant!! !